This event took the form of a full week summer school held at the Niels Bohr Institute (Copenhagen, Denmark) from July the 3rd 2016 to the 8th July of 2016. More than 60 students (PhD and post-doctorarl students in experimental and theoretical condensed matter physics) from all over the world participated. The Summer School focused on state-of-the-art ideas underlying the field of quantum information processing and its implementation in solid-state systems. A strong emphasis has been placed on the fundamentals of such systems, giving the students the necessary background to read the literature and understand the wide variety of qubit (quantum bit) implementations that can be explored by putting these basic building blocks together in creative new ways. In a series of lectures and interactive study sessions world-renown experts have described the fundamentals and state-of-the-art in spins, superconductivity, and the controlled creation, storage, and manipulation of quantum information in condensed matter. Quantum error correction, which will play an essential role in the future of this field, was also part of the focus be covered from both theoretical and experimental points of view. Each speaker has been allocated 4-5 hours, with a mixture of lectures (2-3 sessions), and interactive sessions. For experimental topics, the interactive sessions took the form of a journal club on a paper by the speaker: time was allocated for students to read and discuss the paper amongst themselves, and to formulate questions to be asked of the speaker during a final open discussion session. Condensed matter, in the form of carefully designed solid-state quantum devices, offers the possibility to implement ideas of quantum information theory. This course gave students an introduction to the state-of-the-art knowledge associated with such a revolution. A key role in this subject area is the concept that the quantum properties of solid-state devices, exemplified most prominently by quantum bits, can be accurately controlled by choice of geometry and confinement. Therefore, this course also covered the underlying physics that makes this engineering approach possible, as well as strategies towards multi-qubit architectures and quantum error correction schemes. The scientific content was formed around the connection between the manipulation of discrete quantum states in condensed matter and quantum information processing, with spin coherence and superconductivity forming the backbone of this course. Participants were expected to participate in all activities of this course, consisting of lectures, supervised exercise sessions, and discussions between students and teachers. The learning outcome of these activities included knowledge of today’s state-of-the-art devices and challenges, understanding of the underlying physics and experimental constraints in spin qubits and superconducting qubits, a basic understanding of quantum information theory and error correction, and an outlook to where our community is going. The invited speakers were world-leading experts in these subjects and known not only for their research accomplishments, but also for their pedagogical and accessible teaching styles. More then 70 students from many institutions attended the summer school, allowing PhD students to network with each other and get to know the international community. Joint dinners, poster sessions, one excursion and lab tours at the Center for Quantum Devices stimulated the exchange of ideas between different groups, the broadening of existing networks, and the formation of new collaborations. 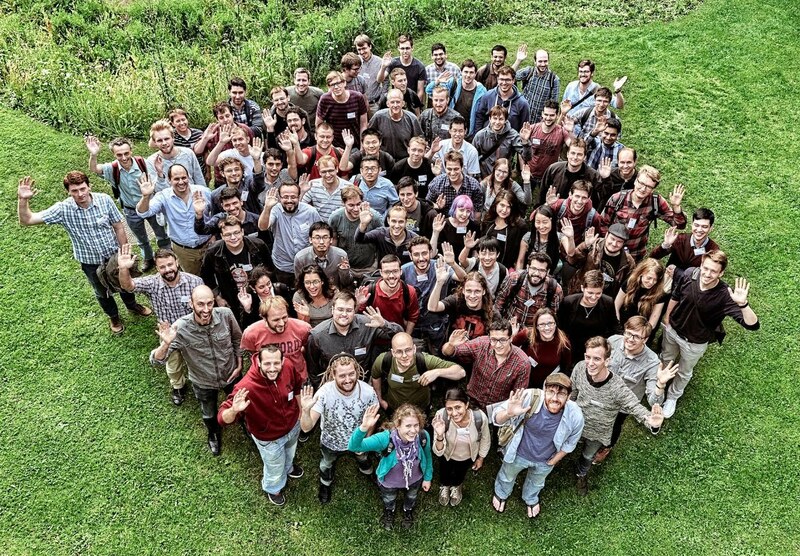 The summer school was hosted by the Center for Quantum Devices and the Niels Bohr International Academy, with generous support from Copenhagen University, the Villum Foundation, and the SiSPIN and Spin-NANO networks. 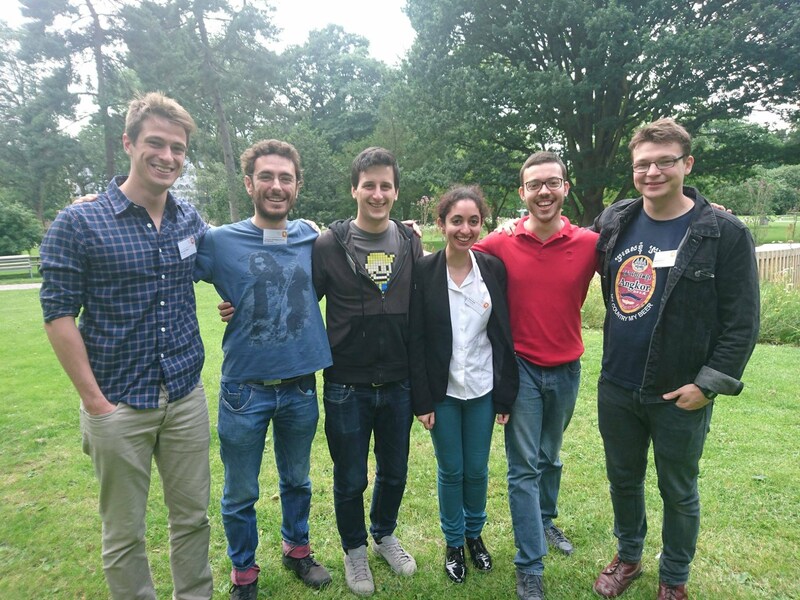 Newly appointed early stage researchers - Riccardo Pisoni, Alejandro Rodriguez, Luca Sortino, Najwa Sidqi, Alessandro Catanzaro and Matt Brooks - have the opportunity to meet at the Copenhagen Summer School.